…today is not that day. As the saying goes: Fortune favors the bold. (Or is it brave?) Hey, maybe they both work, in this case. Here it is: the Dreamy Organic Bed of the Week: Grand Canyon + Bright. We can count on Pendleton to keep us warm. Their National Parks series is truly classic. Thick, rugged wool accented with bold stripes. 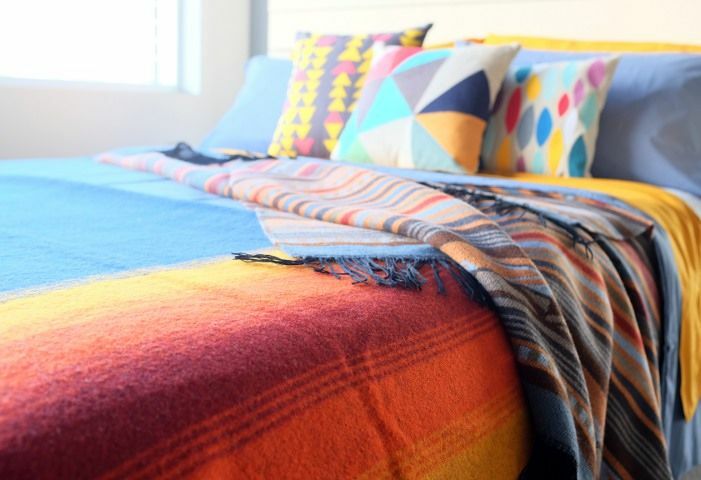 The Grand Canyon blankets fit the bill exactly, with fiery reds and oranges accenting rich navy. 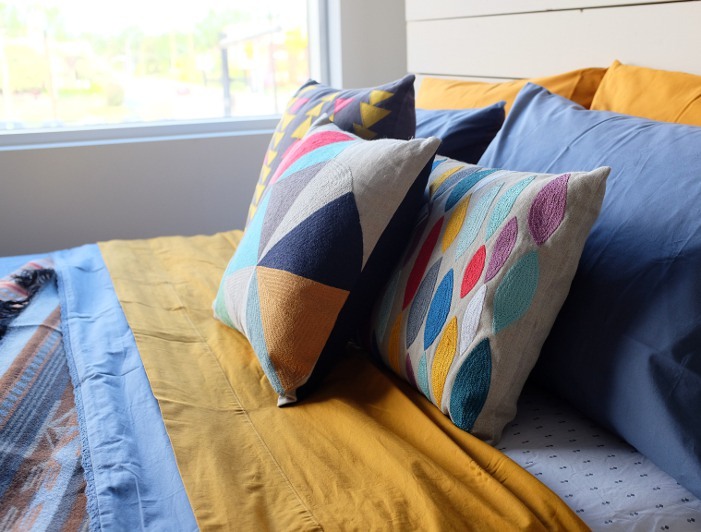 And if these brights don’t tickle your fancy, tune in for next week’s dreamy Organic bed for a trip back to subtlety. 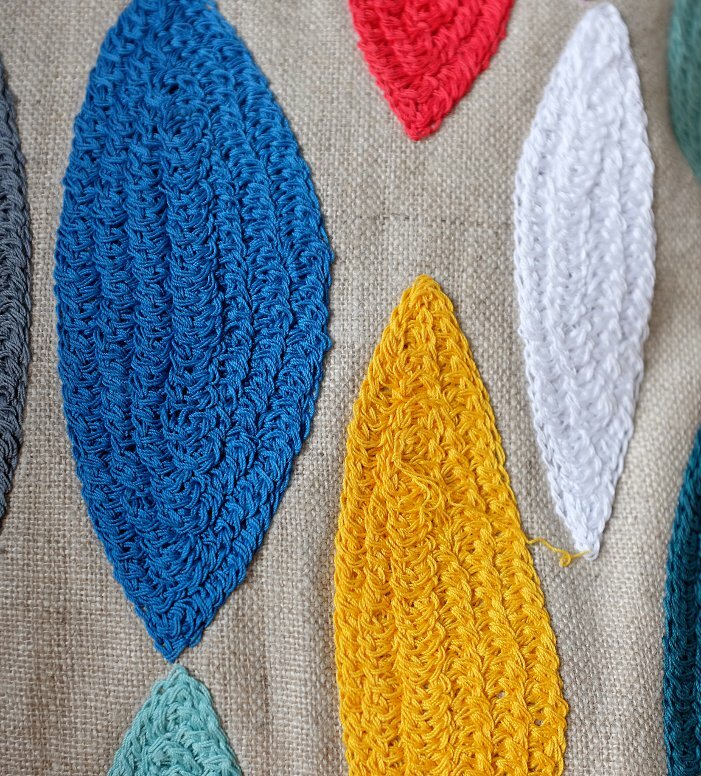 Here’s a close-up of the embroidery, to help you feel the quality.